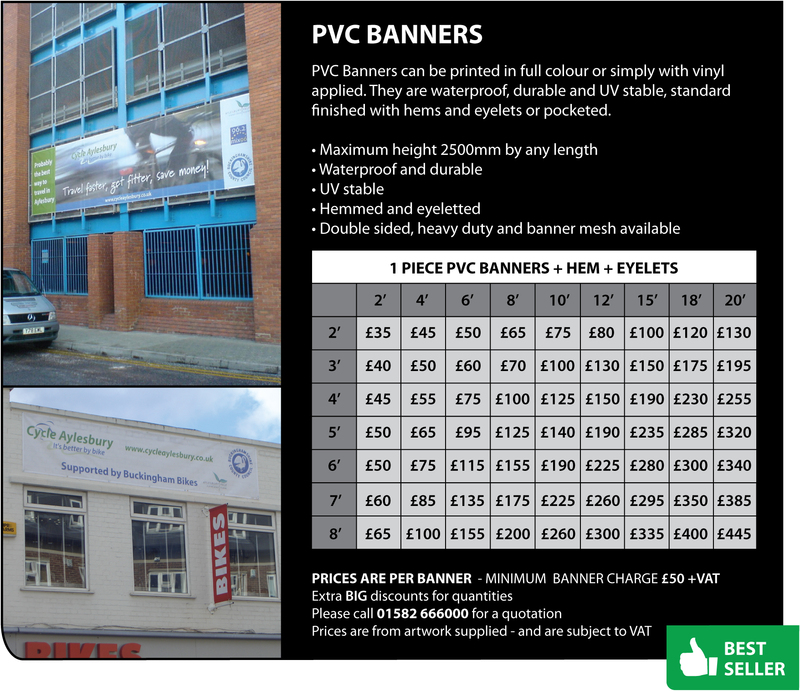 PVC Banners can be printed in full colour or simply with vinyl applied. They are waterproof, durable and UV stable, standard finished with hems and eyelets or pocketed. 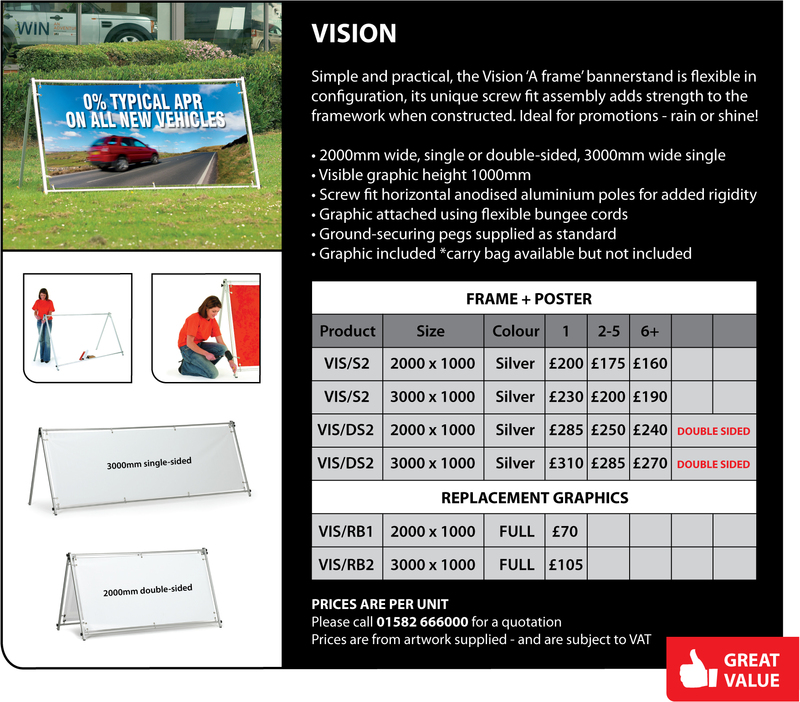 Easily attachable with cable ties or ropes to railings or nail/screw through eyelets to hoardings. 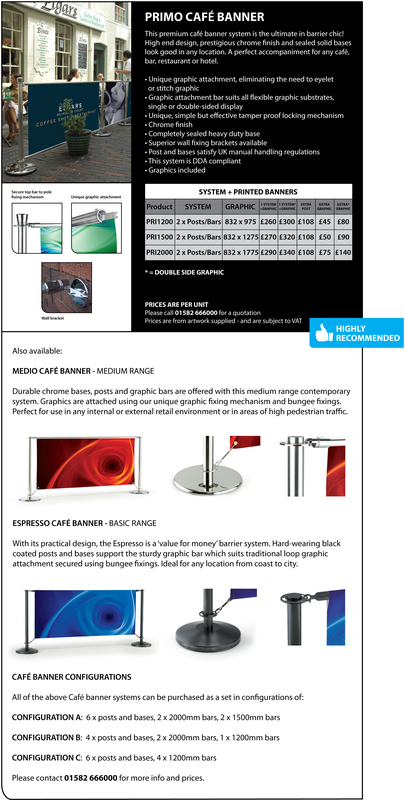 Double sided, Heavy duty, Fire rated and Banner mesh are also available. 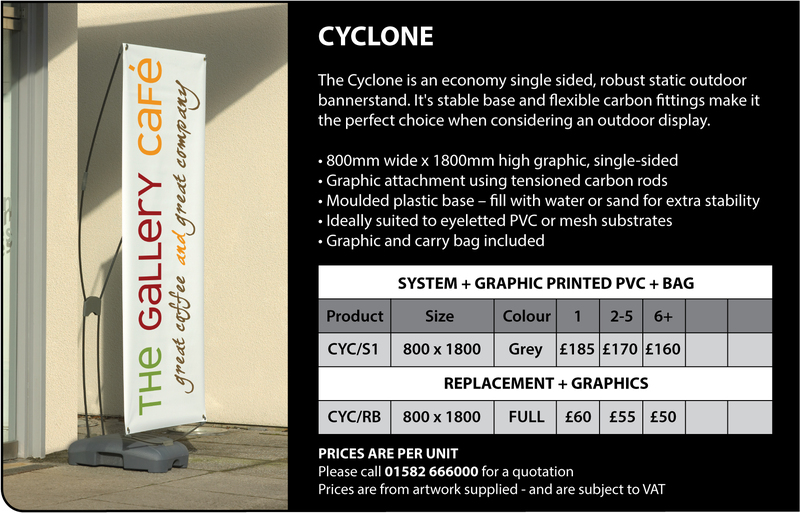 Outdoor bannerstands have a highly durable finish and can be assembled simply and easily on location. 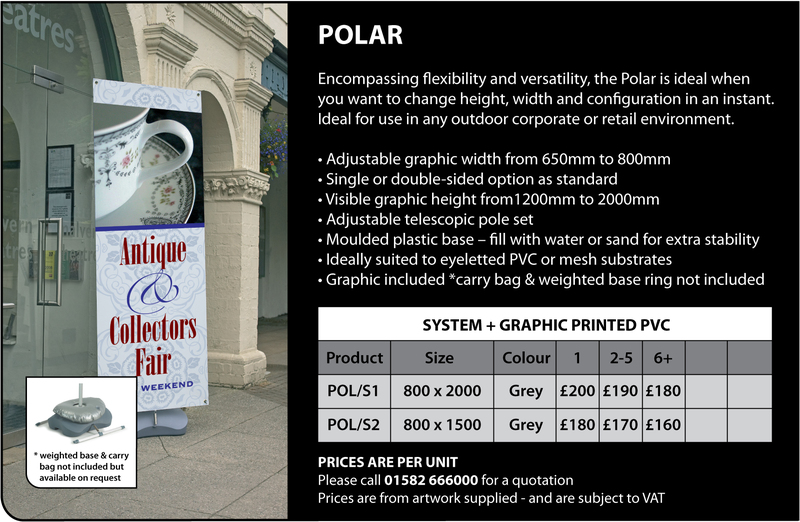 Our stands are not only versatile in size but also in practicality. 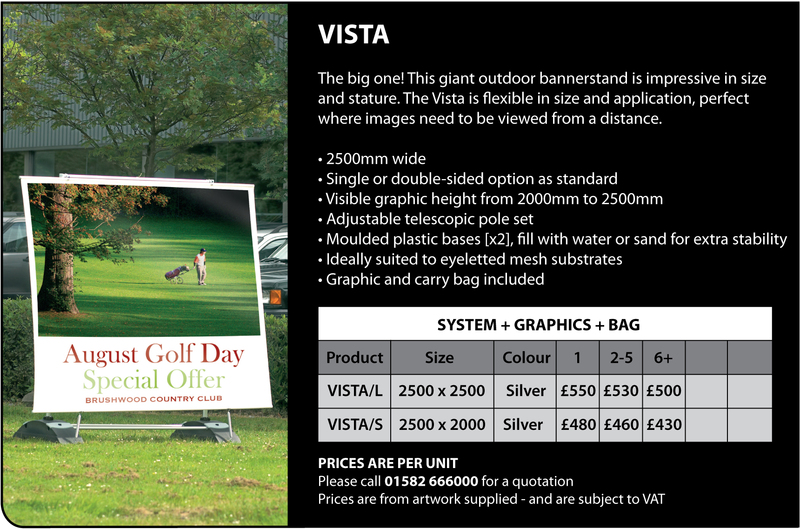 From a simple ‘A’ frame banner to a more sophisticated ‘graphic screen’, our range offers quality systems for semi-permanent use that comfortably suit their surroundings, whether for promotional, retail or sporting events.